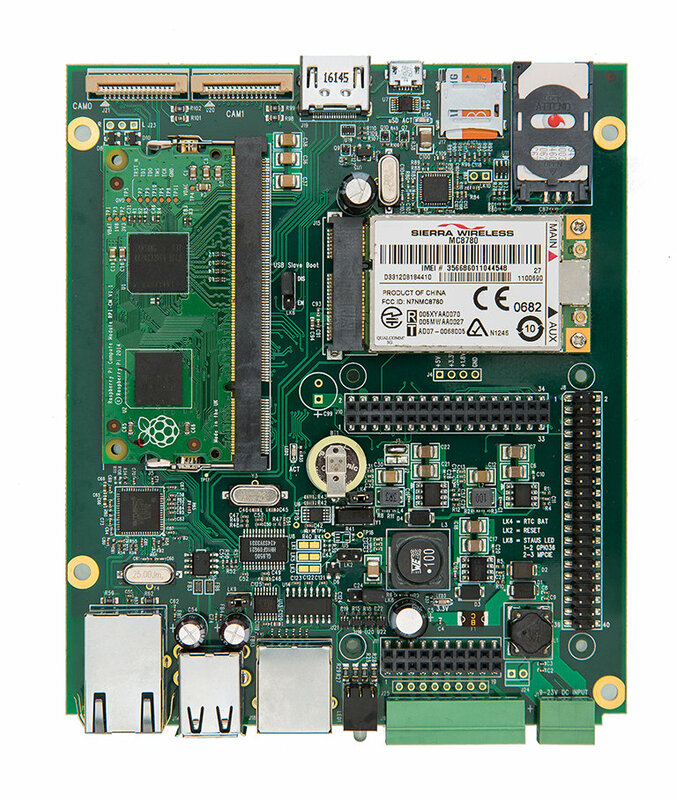 Are you looking for a Raspberry Pi board specifically designed for the industrial market that provides a powerful and easy-to-use platform? MyPi's architecture, components, O/S and feature set have all been chosen to provide you with maximum functionality and value for money. The CPU section is based on the Raspberry Pi Compute Module, providing a widely supported OS and simple integration to cloud IoT services e.g. Amazon S3 and Microsoft Azure. This flexible integrator platform has a modular IO interface and a range of pre-built, off the shelf cards for common protocols such as CAN, Modbus, RS485 and many others. Whether you choose an off-the-shelf IO module, design your own, or work with us on a custom build, we are confident that the MyPi IoT Integrator Board will add value to your project. Ruggedised High Speed USB based µSD Card interface, providing additional storage separate from the OS file system. Integrated USB RS232 UART (RX/TX/RTS/CTS) using RJ45 connector for maximum range. Rather than using standard Raspberry Pi plug in HAT cards with IO signal connectors poking out on all sides, instead our application specific industrial grade IO cards take any IO signals required and feed them directly to the on-board green industrial two part connector. Because this industrial green connector is uncommitted, with a change of IO card we also change the functionality of this edge connector resulting in a very flexible solution. 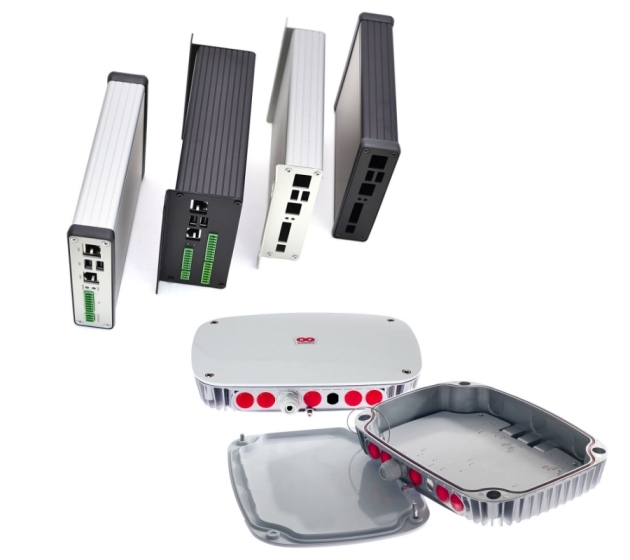 The My-Pi Industrial IoT Integrator Board has been designed to fit within several off-the-shelf enclosure types, from cost effective Hammond extruded aluminum types to IP66 Rated weatherproof designs by RF Elements. Contact us today for any custom requirements or reference CAD drawings. Is the MyPi IoT Board Compute Module 3/3+ Compatible? Yes, the MyPi IoT Integrator Board can use Compute Modules 1 & 3/3+. Where can I find pricing for the MyPi IoT Board? Please use the quote request form here to build an RFQ for the parts you need. Is there any lifespan guarantee for the Compute Module? Raspberry Pi guarantee availability of Compute Modules 1 & 3/3+ until at least January 2023/2026, click here for details. Do you have an industrial temperature range version? Yes, we can also provide an extended temperature range version for -25oC to 80oC industrial environments. Where is the OS stored on the Compute Module? The Compute Module has an integrated 4Gbyte eMMC flash chip for storing the OS, you can use the on board SD card interface for datalogging storage. How do I connect my industrial devices? We provide sample code and documentation to help you configure the MyPi board, IO cards, Modems and a range of other devices here here.